CarbTrim Iced Tea Mix, a Slimming Tea new from UNILAB will be available in the Philippines by mid October this year. CarbTrim is carefully formulated for both shape and weight conscious but pasta, sweets and rice loving consumers. With CarbTrim Lced Tea mix, you can still eat your favorite carbohydrates enriched Pasta, daily dosed of rice or sweet foods since CarbTrim Tea is designed to minimized absorption of Carbohydrates to the body by more or less 60%. CarbTrim Iced Tea is best to drink before eating carbo-foods and during eating time. Note: No slimming product is effective unless harmonized by the activity of the user. With regular exercise and eating what is right, it is not difficult for you to attain your goal - maintained weight and shape. 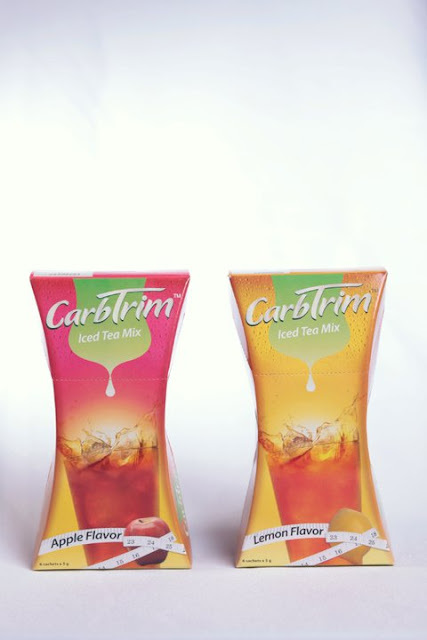 CarbTrim Iced Tea mix, from UNILAB featured at Cebu Events Blog. 18 comments: on "CarbTrim Iced Tea Mix - slimming tea from UNILAB available by mid-October"
Expect to buy Carbtrim Iced Tea on leading supermarkets on 4th quarter 2011.
is this available already here in cebu? is this available now in the market? @chrismun2011, thanks for the info. @available na po ba yan ngayon dito sa Gensan? in 1 box how many sachet in it? is it 149.50/ box? how many sachets are in it? is this available in iloilo already? yap, how many sachet in every box? is it already available in legazpi city? is it available in bohol??? is it already available in Baguio? where could i buy it? is it available in general santos?